Discussion in 'Lexus Lounge' started by krew, Nov 2, 2016. 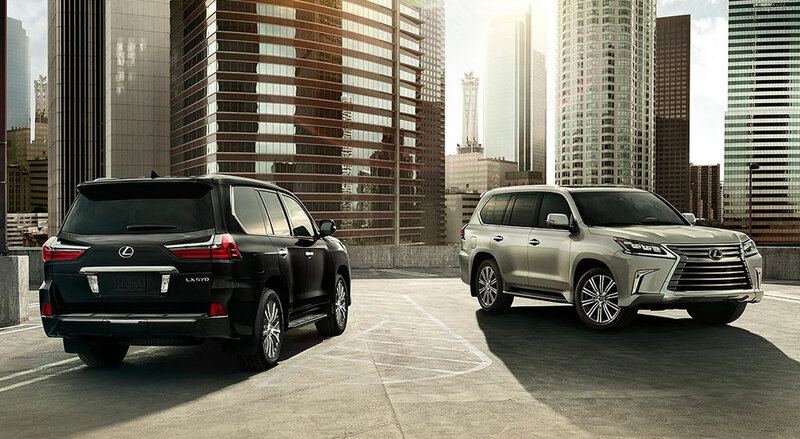 Lexus SUVs have their best ever October, brand up 1.0% over last year. GS had a positive month for the first time since I can remember wonder what happened for that to occur...? mikeavelli, corradoMR2, Enthusiast88 and 2 others like this. All I can think is... one of those RX's is MINE! Can check out pictures in the SUV forum of my new F-Sport. I'll have a better photo-shoot this weekend hopefully. corradoMR2, Ian Schmidt and Enthusiast88 like this. Thanks for the post, Tragic. So much for the Continental being DOA. A number of people thought that its transerse/FWD layout couldn't compete in this class. The October figures, at least, prove otherwise. Please double-check your figures, though...with 1,222 sales, the Continental should (probably) be #3, not #4. For ES, where do you position it? Btw, why the weak 5 series sales lately? Wonder if these early Continental sales are pipeline fill/channel stuffing so far? Have yet to see one on road. I don't have them sorry...if i can find it, would post, but just go see the monthly report for Lexus, car sales are all down so honestly, the only thing exciting is the GS's sales aberration. Thank goodness for the SUV lineup with RX heading yet again towards 100K annual sales and NX will have its best ever total (~55K). Gecko, Lexus Cohen and IS-SV like this. Acura RDX and Lexus NX going down to the wire for Class President. The NX is now less than 300 units behind. Lexus NX will crush Acura in their "December to Dismember"
I expect the NX to rule 2016! Trexus, corradoMR2 and Lexus Cohen like this. GS sales are actually weak if you ask me! meth.ix and Tragic Bronson like this. I really wonder how Toyota has reacted to GS sales this year, considering that a lot of final decision making occurs for the 5GS in 2016. I wonder if they soldiered forward with solidifying 5GS development last year on premise of the facelift being well received, before witnessing the severe dip in sales earlier this year. The 5GS design is definitely frozen by this point (if they didn't delay it), while they likely wrap up design of the 4IS into 2017. Maybe one will see mules in magazines soon. I feel dip in sales was somewhat warranted, as they should've done much more to increase output of the 2GR-FSE upon 4GS intro in late 2011 (310-15 hp) and incremental additions on top of that at refresh (320 hp) to be competitive. Customers are wising up to it. The G30 has been teased for awhile and was just revealed. That will kill sales definitely. CIF, Ian Schmidt and mikeavelli like this. Word is the new ES is breathtaking and stunned people who have seen it. CIF, Carmaker1 and Trexus like this. Thanks guys. Curious how the new q60 did in a full month. Haven't had time to look. The only two all-new Lexus cars that I haven't seen are particularly the 7ES and 5GS in being generally an outsider, so that is quite interesting to hear. I didn't realize that the 7ES was that far along, but considering the mules the past year, it shouldn't be surprising. This month keeps getting better and better (at least on this side of things). The positioning of the 5GS will be interesting to say the least, as the line-up will likely start with a new petrol/gas GS300. If you think about it, BMW offered their first M3 sedan in 1994, then discontinued it at the end of 1997 for a full 10 years. The E46 M3 didn't even debut until late 2000. Audi has even alternated RS models in the past and so has MB to a degree (no E63 AMG coupe since CLK63). XE40 IS-F probably won't even surface until late 2020-21 at earliest though, which itself is still a 6 year gap. I actually was stunned to learn it seems the entire 7ES was shown in Japan at Fuji. So you and me both. Completely agree with you on the 5GS, it has to grow in size significantly and the styling has to resonate more with buyers. The driving/handling no longer is the issue. New engines obviously need to come from the start. The 7ES more than anything needs a great interior for the segment, and a return to that famous ES soft, comfortable ride. I often wonder what the goals are? Because for all the complaining people have done, the interior did improve with the refresh and compared to most its pretty damn good. Everyone was fapping to the new E-class interior in pics and Motor Trend just reviewed it in a comparo and highlighted some bits as a low point. Sometimes I'm not sure what to think lol. Will AWD come? Also will the ES hit 50k+ next go round. That means its doubled in price since its debut over 25 years ago!